Mohammad Maroufi graduated with the B.Sc. 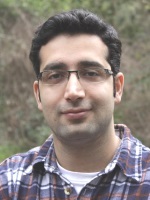 degrees in Mechanical Engineering and Applied Physics as a distinguished student from Amirkabir University of Technology (Tehran Polytechnic) in 2008. He continued his studies in a Masters in Mechatronics at the same university, and graduated in 2011. He studied his PhD in Electrical Engineering at the University of Newcastle, Australia. He is currently a Research Scientist in the Department of System Engineering at the University of Texas at Dallas. His research interests include the design and control of MEMS nanopositioning systems, MEMS based sensing and actuation, on-chip atomic force microscopy, and modeling of smart materials and structures. IEEE Transactions on Control Systems Technology, 2019, (Accepted for publication). Mechatronics, 56 , pp. 198–210, 2018. IEEE Journal of Microelectromechanical Systems, 26 (6), pp. 1287 – 1297, 2017. IEEE Journal of Microelectromechanical Systems, 26 (3), pp. 469–500, 2017. IEEE Sensors Journal, 17 (10), pp. 3030–3040, 2017. IEEE Journal of Microelectromechanical Systems, 26 (1), pp. 215 - 225, 2017. IEEE Transactions on Control Systems Technology, 24 (5), pp. 1717–1728, 2016. IEEE Sensors Journal, 16 (7), pp. 1908–1917, 2016. Acta Mechanica, 227 (2), pp. 333–352, 2016. IEEE Journal of Microelectromechanical Systems, 24 (6), pp. 1730–1740, 2015. IEEE Journal of Microelectromechanical Systems, 24 (5), pp. 1594–1604, 2015.
Review of Scientific Instruments, 86 (4), pp. 046107, 2015. IEEE Transactions on Control Systems Technology, 23 (2), pp. 504-512, 2015.
Review of Scientific Instruments, 86 (2), pp. 023705 (12pp), 2015. IEEE Journal of Microelectromechanical Systems, 23 (3), pp. 502–504, 2014. ASME Dynamic Systems and Control Conference, Atlanta, Georgia, 2018. IEEE/ASME International Conference on Advanced Intelligent Mechatronics, AIM2018, Auckland, New Zealand, 2018. AMERICAN CONTROL CONFERENCE, Milwaukee, Wisconsin, 2018. 16th International Conference on New Actuators, ACTUATOR 2018 , Bremen, Germany, 2018. IEEE Conference on Control Technology and Applications, Hawaii, USA, 2017. 20th IFAC World Congress, Toulouse, France, 2017. American Control Conference, Seattle, WA, USA, 2017. IEEE Sensors Conference, Orlando, FL., USA, 2016. ASME Conference on Dynamic Systems and Control, Columbus , Ohio, USA, 2015. IEEE Multiconference on Systems and Control, Sydney, Australia, 2015. Proc. American Control Conference, Chicago, IL, USA, 2015. ASME Dynamic Systems and Control Conference, San Antonio, Texas, USA, 2014. Proc. IEEE/ASME International Conference on Advanced Intelligent Mechatronics, Besancon, France, 2014. Proc. IEEE/ASME International Conference on Advanced Intelligent Mechatronics, Wollongong, Australia, 2013.